A bicycle is a kind of vehicle with two wheels which was invented way back in the early 19th century. It was in the 1860s when the term bicycle was originated in France. Surprisingly, different reports came out about the first person who invented this transport tool. Many stories have existed, but there was no concrete evidence to support some claims. It was said that a Chinese inventor named Lu Ban was the one who first created it. Then, another claim came out stating that it was initially built in 1534 by one of Leonardo da Vinci’s students named Gian Giacomo Caprotti. That report was based on the sketch he did, which according to Hans-Erhard Lessing, is a purposeful fraud. That object was preserved by the followers of a lexicographer and philologist, Professor Augusto Marinoni. The Commissione Vinciana of Rome commissioned him to transcript da Vinci’s Codex Atlanticus. A certain Comte de Sivrac made another unverified claim. In 1972, he developed a celerifere, a piece of equipment characterized by having two wheels without steering and is set on a rigid frame made of wood. It also has a limited directional control because the rider should sit astride to it while pushing it with his feet alternately, and it was recognized as a misinterpretation of a French journalist Louis Baudry de Saunier in 1891. One verified claim also came out, and it was said that in 1817, a civil servant to the Grand Duke of Baden in Germany invented the Laufmaschine, a German term for running machine. His name was Baron Karl von Drais who patented the design in 1818 and called it velocipede. Interestingly, its appearance made others call it a dandy horse or hobby horse. The history of the bicycle has come a long way. Due to its unique design and features, many people around the world discovered cycling as an excellent hobby which later became an enjoyable sport for others. When you love cycling, you may also wonder what type of bicycle you would want to own. Thankfully, there is a wide range of choices depending on the design, colour, size, flexibility, and comfort it can give to the rider. Discovering the distinct characteristics of each will give you an idea about which kind would satisfy your needs. Check out the following styles of bicycles to guide you. 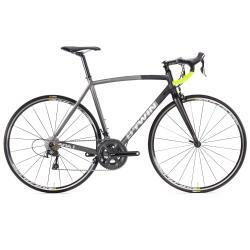 The most common bicycle you can see everywhere is the road bike. It is also an excellent tool for beginners who want to learn how to use or navigate through the roads. It has a multi-position handlebar that provides a comfortable grip, allowing you to travel with greater speed and less effort. Its skinny tires are specifically designed for pavements and roads. 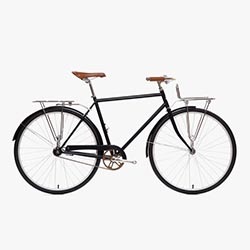 A commuting bike has many features and utilities compared to the other types of bicycles since it is mainly used as general transportation whether you are travelling to school or work. It includes locks, fenders, rear racks, bags, and lights. When you want a friend to join you while biking, then, the tandem bike is best for you. 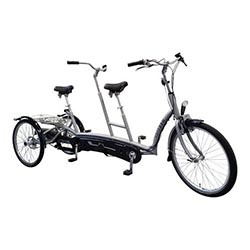 It is specifically designed for two persons. It also has various styles to accommodate both riders. 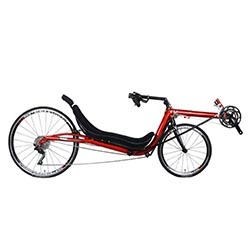 These non-traditional looking bikes allow the rider to sit and be positioned like he is sitting in a chair. It has different variations such as two or three-wheels, above or under seat steering, and different lengths of wheelbases. Take note that this type is difficult to manoeuvre when you need to pedal up a hill.